I didn’t get to watch the Grammy’s but I did hear about them. One critic called the Grammy’s a demonstration of how stodgy the Academy was. So it looks like I didn’t miss much. But I did see that I missed Kendrick Lamar’s powerful performance (here’s a recap); and much like Queen Bey, Kendrick’s saying something. But the part I want to comment on briefly is what Taylor Swift said. I enjoyed “1989,” actually. I’m no music critic, but I feel pretty accomplished when I’ve actually listened to the Academy’s Album of the Year. But what caught my attention more than her award was what she said. The celebrities and their award speeches, not unlike their performances (like Kendrick’s), teach us something about our world. They are preaching to us in explicit fashion. Taylor delivered a speech that was noted as a jab to Kanye West (who famously interrupted her VMA speech and began “pop’s most high-profile feud”). Bu I think she was saying something more than that. “As the first woman to win album of the year at the Grammys twice, I want to say to all the young women out there: there are going to be people along the way who will try to undercut your success or take credit for your accomplishments or your fame,” Swift said near the close of the show. Taylor’s accomplishment is no small feat. I think she deserves the praise for it. But what is she selling? That all it takes to achieve the “greatest feeling in the world,” is focusing on the work, not getting sidetracked, and sharing your cherished accomplishment with those that love you? Surprisingly empty, but surprisingly common. Not only does our hard work not get us all that we wish it would; some people’s hard work just doesn’t offer them the kind of self-justifying success and emotion that Taylor espouses. We can’t all be Taylor Swifts; everyone knows that. Telling young people to follow their dreams despite their detractors isn’t the world’s worst message, so I’m not really sure that Taylor is forfeiting her life. But I know that what she is offering to us and what she’s teaching to us may in fact cause us to forfeit our lives as we try to gain the whole world. I know of something better than the result of following your dreams and even succeeding in them. And I even think Taylor could benefit from this. Just like us and our celebrities, Mark’s audience needed something different. They are suffering under an oppressive Roman Empire, one who is killing Christians and making the new Christian movement almost impossible. They really have no choice but the lose their life; their detractors aren’t just Kanye West lying about them in a song, they are killing them. Jesus’ message then is encouraging them and filling them up. Taylor is surprisingly out-of-touch compared to Mark and Jesus. Does she know the world we live in? For example, that the poor are living 14 years less than the rich? I’m not sure our hard work will save us, and I’m glad Jesus and Mark are telling us something else. They seem to be more aware of what’s happening right now in the world, even 2,000 years ago! 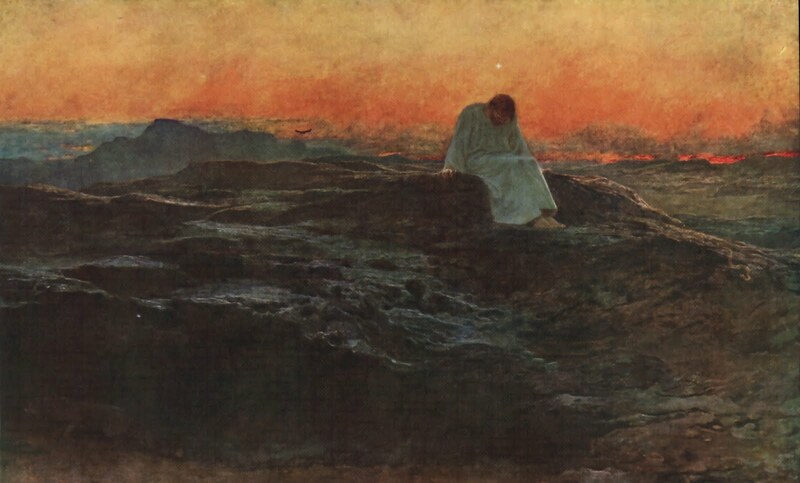 Lent, walking with Jesus in the desert, is about denying ourselves, emptying ourselves, so that we can filled with the bread and the cup of salvation. We hold on to our lives tightly, determined to maintain our tiny piece of the pie, and in the end, we have unpolished statues and memories of how great we once looked in a crop-top. Jesus is showing us another way, one that may not ever be broadcast on an award stage. He’s telling us to be filled with him, his life, and his way. That losing our souls for the sake of the Gospel is worth it. This Lent, may you hold on to the promise that Jesus gives to those who are willing to lose their life for his sake (and therefore saving them). Empty yourself, deny yourself (perhaps with a fast), for the sake of Jesus and the Gospel, and see if Jesus doesn’t fill you up. You may end up with the greatest feeling in the world because of it.